A little more than a century ago, the famous social scientist W.E.B. Du Bois asserted that a true understanding of African American offending must be grounded in the "real conditions" of what it means to be black living in a racial stratified society. Today and according to official statistics, African American men – about six percent of the population of the United States – account for nearly sixty percent of the robbery arrests in the United States. To the authors of this book, this and many other glaring racial disparities in offending centered on African Americans is clearly related to their unique history and to their past and present racial subordination. Inexplicably, however, no criminological theory exists that fully articulates the nuances of the African American experience and how they relate to their offending. 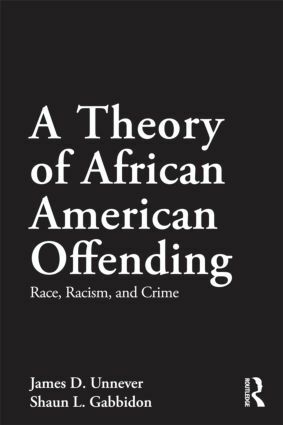 In readable fashion for undergraduate students, the general public, and criminologists alike, this book for the first time presents the foundations for the development of an African American theory of offending.